A Massachusetts car accident left a 34-year-old Boston man dead after he lost control of the vehicle he was driving and flipped on Interstate 95 South near the Newport Avenue exit, according The Sun Chronicle. The driver was taken to the Rhode Island Hospital in Providence where he was pronounced dead. According to state police and fire officials, the single-car accident happened around 1:00 a.m. between the Newport Avenue exit and the South Avenue exit. The vehicle sustained extensive damage. After flipping on the Interstate, it came to rest driver’s side down with the top of the car against the guardrail. The victim was reportedly trapped inside the vehicle for about an hour. He was eventually freed by firefighters who had to use two sets of hydraulic-cutting tools and an assortment of other equipment to get him out and to prevent the car from toppling over. Our Boston personal injury attorneys understand the a number of vehicles have a history of rollover accidents. The vehicle you choose can have a significant impact on your safety on the roadway. You are urged to check out safety ratings of vehicles before making a purchase and to understand your car’s limits when driving on busy roads such as Interstates. The cause of the accident remains under investigation. State police accident reconstruction experts are looking into the incident. During the initial investigation, multiple lanes were closed on the Interstate for about three hours. According to government statistics, rollover accidents account for about one-third of all accident fatalities, or about 10,000 fatalities a year over the past decade. Earlier this year, the National Highway Traffic Safety Administration issued a new rule aimed at enhancing side air bag systems. It seeks to reduce fatalities in the event of a rollover accident by providing more cushioning and also by preventing ejection from the vehicle. Ejection accounts for the majority of the fatalities that result from rollover accidents. Over the last 10 years, nearly 50 percent of those killed in a rollover accident were ejected from the vehicle. Accident studies report that most of these ejections occur through the side windows. Through the new rule, the NHTSA will be requiring that all manufacturers enlarge side curtain air bags, make them more robust so that they stay inflated longer and set them to deploy in all types of serious accidents. 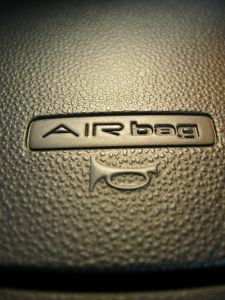 The new air bags are also required to be designed so that they keep occupants from being ejected from the vehicle, even when the windows are down or when the passenger is not be wearing a seat belt. Engineers are even using special glass in the side windows — a unique glazing aims to prevent the glass from shattering in the event of an accident. You can expect these new airbags to start showing up on vehicles as early as 2013. They will be on all new vehicles in 2017. These new airbag rules apply to all vehicles that weigh less than 10,000 pounds. The NHTSA expects that this new rule will save an average of 373 lives and prevent 476 serious injuries each year.